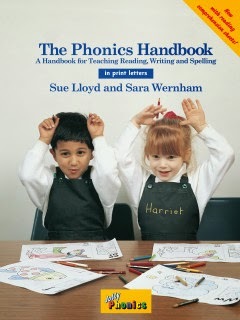 I would like to introduce you to the wonderful world of synthetic phonics - the effective way of learning to read. When it comes to teaching ‘the ABCs’ to your child, I have 2 words for you: JOLLY PHONICS! While teaching SK and grade 1 at a wonderful semi-private school in France, I found out about this amazing reading program called Jolly Phonics. It is the most fun and successful reading program for kids I've seen so far that works wonders for little ones. 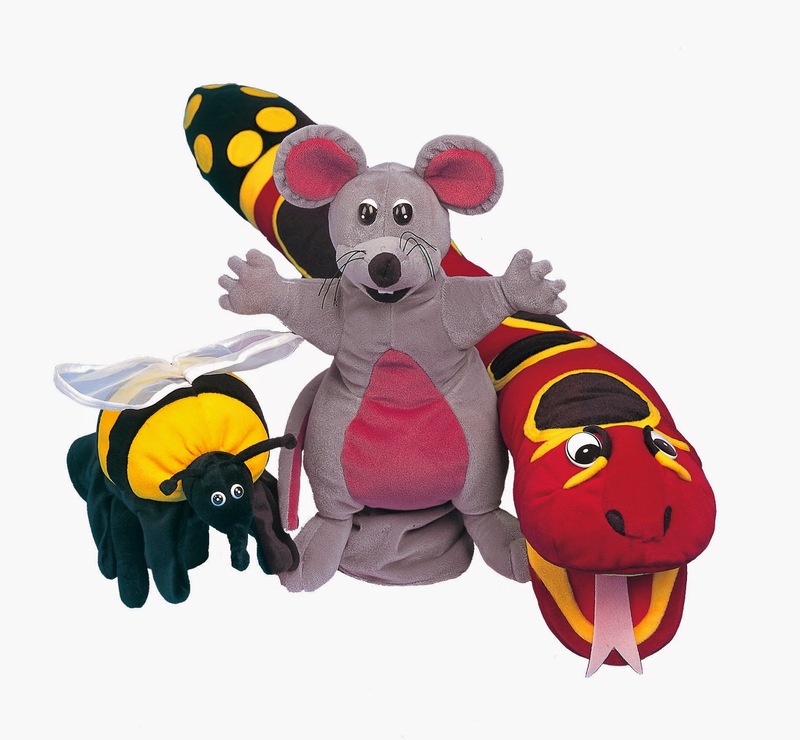 Hurry and meet Snake, Inky and Bee (available in puppet form), 3 great friends who will take your little ones on a wonderful journey! Now that I have my own munchkins who are learning their ABCs, I've invested my own resources - money, time, energy, and lots of fun and love - to teach my own sons how to read using this program. 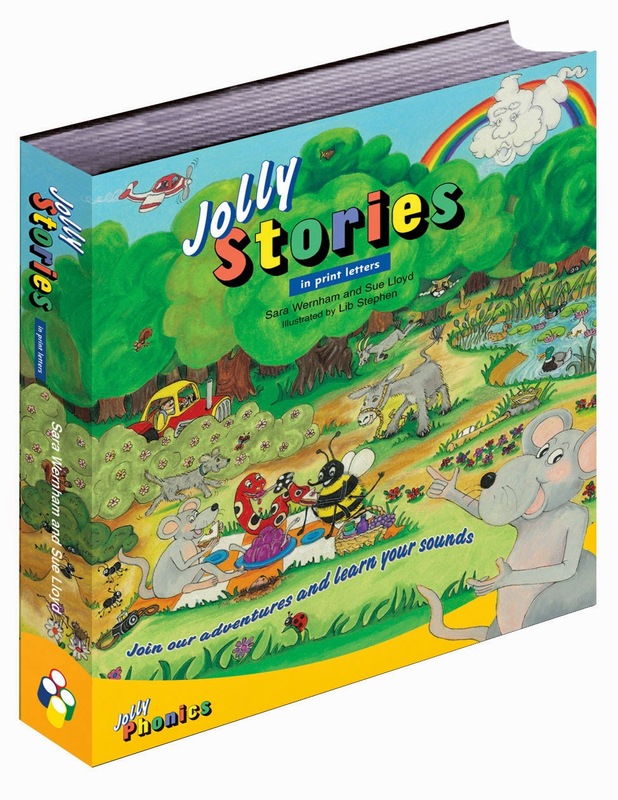 The Jolly Phonics Program is developed for children by UK authors Sara Wernham and Sue Lloyd and is used to teach children from JK through to Grade 6 (according to the Common Core Standards!) It is also popular as a remedy program for older children who have reading and writing challenges and for children who are learning English as a second language. I find that this reading program is unique because it is a efficient and effective yet FUN approach to teach a child how to read regardless of his/her learning preferences and abilities. The principles of Jolly Phonics are a child-centered and multi-sensory approach that motivates any child to learn how to read or write through fun and easy interactive activities. I would like to strongly emphasize the key words "child-centered" and “multi-sensory”!! My friend recently told me that there are many daycares and primary schools that use the Jolly Phonics method, which is great news! BUT... Unfortunately, not many of these daycares and schools follow thoroughly the Jolly Phonics approach. My son's daycare also follows this language program, but not the way they should, although my son's teacher constantly tells me that "Your son is so good knowing his ABCs; he is the smartest kid in the class! ", and so on. Most daycares combine the Jolly Phonics program with something else (another phonics or reading/writing method). While this is not unusual I think that often having more than one teaching method confuses the child. What really frustrates me is that these daycares often refuse to invest money (very little is required) into necessary resources, such as the Jolly Phonics Handbook. The entire first year of literacy can be taught from the Jolly Phonics Handbook (and the Grammar Handbooks 1-5) with no additional resources for only $36! You can photocopy any of the content (and believe me there is a lot!) in the Handbook and use it year on year. Therefore, the Handbook is a great and must resource to have for both, teachers and parents (if you want to work with your child at home) alike. Additional resources range in price, from student books as low as $4.45 to the My Jolly Phonics Kit, which is $174. 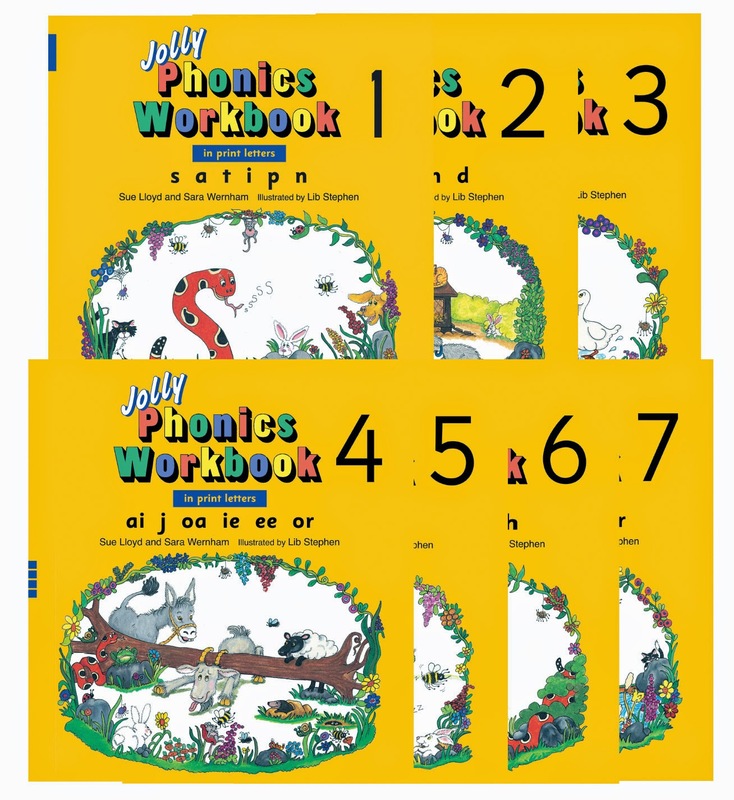 For parents not teaching, a solid investment would be the JollyPhonics workbooks, which are about $20 on Amazon. These are essential for any child to learn the 42 main letter sounds. There is something about having your own colourful book to colour and practice the letter sounds, which is so attractive, fun and entertaining for any child learning his/her ABCs. "It was a sunny day today. I took my big German Shepherd dog for a walk in the morning. I threw a ball and my dog ran after it. Then, then my dog sniffed around in the grass and started barking. A large, spotty snake was sitting up and hissing, /ssssssssss/. I grabbed my dog and the snake slowly slithered away." 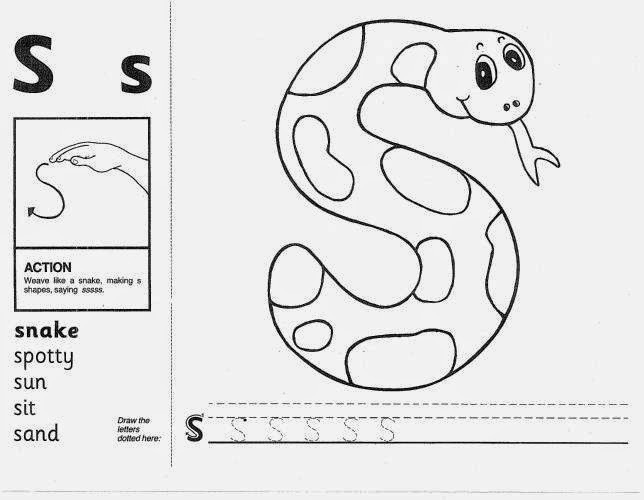 The memorable auditory story, the kinaesthetic action associated with the visible letter ’S’ means that your child will learn to say 'ssssssssss' simply from seeing your hand weave in an "s" shape. This multi-sensory approach is how Jolly Phonics is meant to work. But remember, you need to tell a story to which the children can relate. 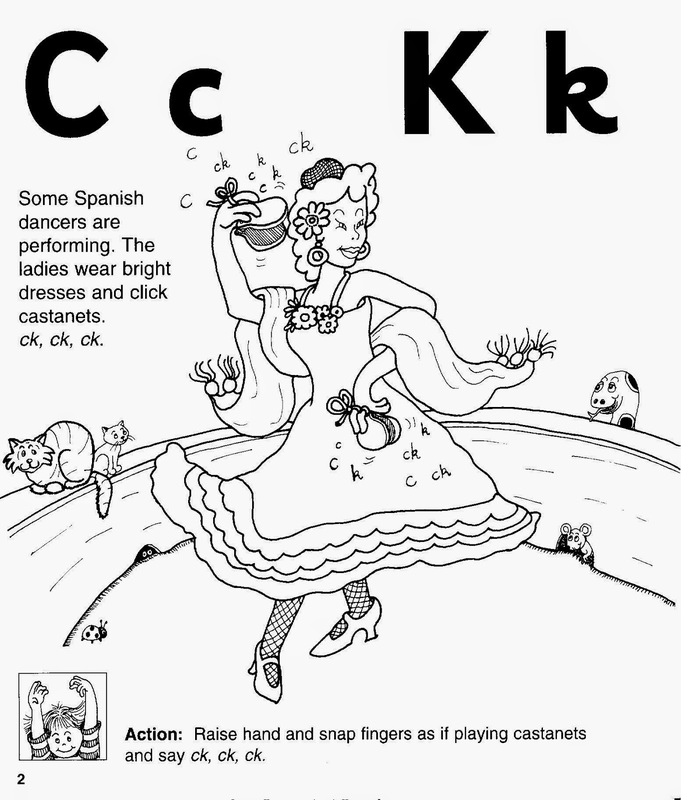 For example, in the Jolly Phonics worksheets, for the sound 'ck', a flamenco dancer with castanets is used for the storyline. How many children do you think will know what castanets are? Not many, right? So, you may want to go with a different storyline. I dance flamenco and have my own castanets, so I actually showed my boys and played castanets for them to make it real and fun:)! Again, this is just me doing my crazy teacher magic:)! Jolly Phonics divide this first year of teaching the letter sounds into 5 key skills for reading and writing: knowing the letter sounds, letter formation, how to blend sounds, how to segment the sounds in words and ‘tricky words’. Find out more about these on their website and check out this video on learning the letter sounds. 1. Jolly Stories - My son loves when we read this book together. It's so fun and colourful, and he knows all the characters. And, that's not all! He gets to practice all the sounds he learned! I recommend this resource if you have the extra money to spend as each word in the stories is carefully chosen to follow the Jolly Phonics program. 2. Jolly Phonics Activity Books - These are great for extra practice, again if you have the extra money to spend. 3. The Jolly Phonics Letter Sounds App - available on iPad or iPhone devices off the App store - only $7.99 - This is a wonderful app to incite and encourage your little one(s) to learn and practice all the 42 main letter sounds through a series of captivating and interactive games in the ‘Letter Sound garden’! My son absolutely loves it; the app improved his tracing ability a lot - I highly recommend it. They have a tonne of additional FREE resources here on their website that you might also like to check out. 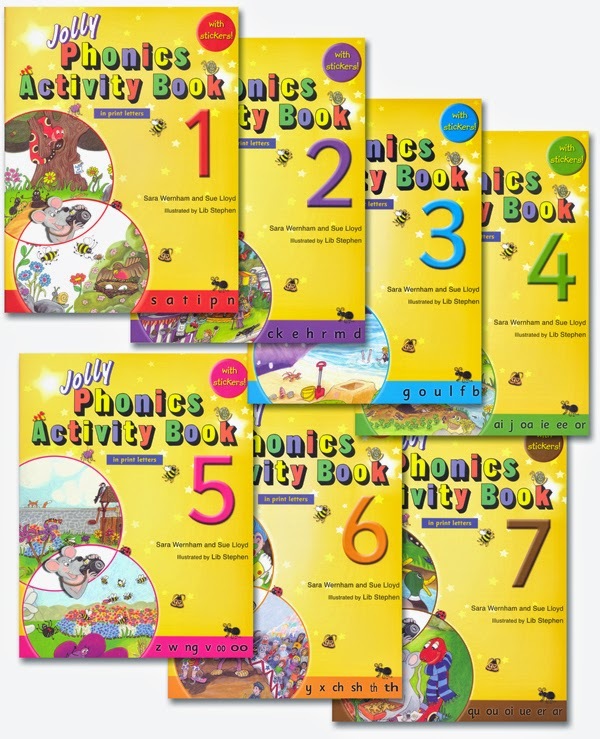 Click here to enter Busy Mama's Giveaway Contest and Win a Set of FREE Jolly Phonics Activity Books! 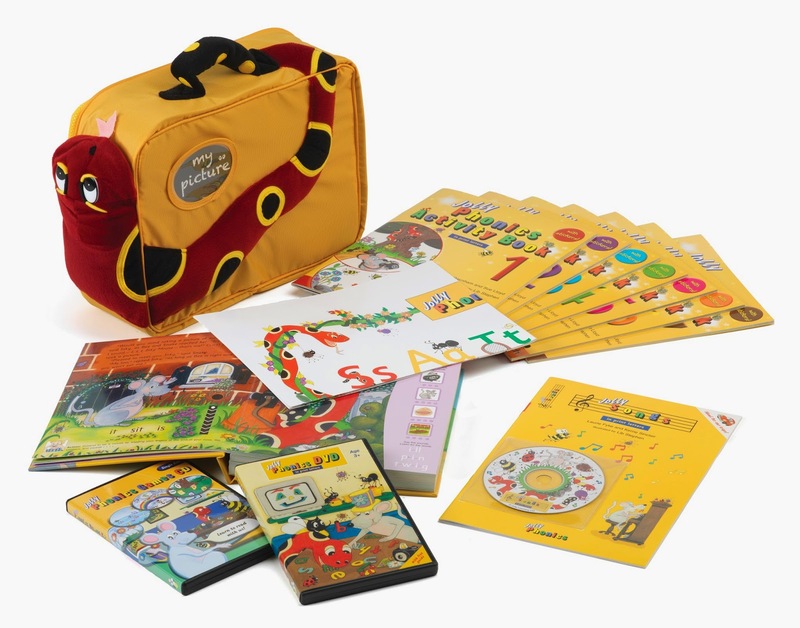 For more information about the Jolly Phonics program, please contact info@jollylearning.co.uk and don't hesitate to contact me at busymamasofthree@gmail.com if you have any questions.